When your Mac system slows to a crawl, using apps can feel like you’re pushing a boulder uphill and wasting time, energy, and patience. While we love Apple computers, even Mac systems are susceptible to slowing down over time. As requirements for apps and programs continue to grow, they consume a greater amount of system resources (particularly memory), and you gradually lose the quick, responsive performance that Mac systems are famous for. There’s an easy way to solve this problem. With a simple memory (DRAM) and solid state drive (SSD) upgrade, you can instantly make your system faster and help it last longer. The problem likely isn’t your Mac. It’s your system’s components – and those are an easy fix. Here’s how to do it. There are two types of system components that you can use to speed up Mac system performance: (1) Installing more memory and (2) replacing a pre-installed hard drive with an SSD. Here’s how each one benefits you. Why a memory upgrade is one of the best ways to improve Mac performance:1 Since nearly every computer operation relies on memory, it’s essential to have as much of it as possible. This is key because most older Mac systems don’t ship with maxed-out memory. You can solve this problem by filling each memory slot in your system with the highest density (in GB) DRAM modules they can hold. How an SSD upgrade complements a memory upgrade to improve Mac performance:1Most older Mac systems come preloaded with the outdated storage technology of a hard drive, but SSDs access data digitally and almost instantly, leveraging cutting-edge flash memory rather than relying on small moving parts that are prone to failure and slow performance. Not only do SSDs allow you to work 6x faster, but they’re also inherently more durable, reliable, and energy efficient. Mac users know the importance of compatibility. It’s an essential part of a hardware upgrade, and not every Mac system can be upgraded. But it doesn’t have to be complicated: Just use our compatibility tools to see if your system is upgradeable, and within 60 seconds, you’ll get a list of guaranteed compatible parts.2 Our tools have been used more than 25 million times and are one of the fastest ways to upgrade. With memory installation guides and SSD installation guides for more than 70 Mac systems and all types of modern Macs – Mac Pro®, Mac Mini®, MacBook®, MacBook Pro®, and iMac® – we have the resources you need to install hardware with ease. Installing memory is really straightforward and we believe you can do it in 5 minutes or less (an SSD doesn’t take much longer). Step 4: Get started today! 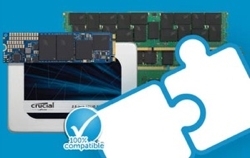 Crucial memory for Mac systems is specifically designed for Apple specifications and is the fastest, easiest, and most convenient upgrade possible. Don’t spend another day being held hostage to a slow computer. 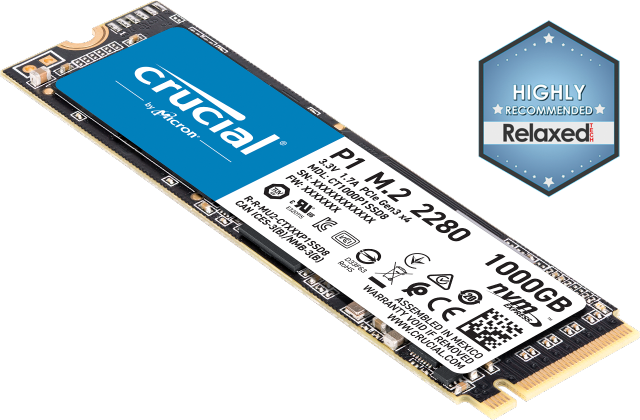 Make your Mac system faster and extend its life with a simple and affordable Crucial memory and SSD upgrade. Get started today by using our compatibility tools below, which will tell you which upgrades are compatible and possible to install in your system.